Balance and foot strength - the benefits for martial arts and everyday life. When we think of strength in the West, we will often imagine broad shoulders, prominent chest muscles and thickly set arms. Undoubtedly, such physical attributes will often infer a degree of physical strength but looked at from an Eastern mindset, it will appear top heavy, disproportioned and unbalanced if such an upper body focus means that the lower body is neglected. When taking part in physical training and exercise, especially in martial arts such as tai chi, I like to use the analogy of building a house – and a big heavy roof with poor foundations in by no means optimal. The feet and lower body strength are the foundations upon which you want to build – and as usual, there are crossovers between martial arts and everyday life. One often neglected symptom of improving balance is training the strength of the feet. Many people who come to my classes, or train with our online courses, would like to improve their balance. Being unsteady on your feet can be a real confidence shaker. If you are not assured of your balance, even being out and about on routine trips to the shops, going on public transport or walking on uneven roads and pathways can start to create a great deal of anxiety. Likewise in martial arts, footwork is key! Anyone from boxers, kickboxers, tai chi practitioners, fencers, wrestlers, etc. will tell you that the positioning of the feet dictate everything! Let’s take a boxer as an example: if their footwork is so advanced that they can move in towards an opponent, strike, then move away again without getting hit themselves, they will have a hugely superior advantage over a brawler who pays no attention to foot positioning. When striking – or performing almost any martial arts technique – the feet are key, they are your root from where the power is drawn. In White Crane we say that you need a strong and stable stance, a flexible waist and fast or relaxed arms and hands. The transfer of power follows this pathway from the feet, through the legs, into the trunk of the body and transmitted through the arms. In tai chi classes and our online courses, we have a very prominent focus on footwork, keeping a strong and stable stance and improving balance – which will have tremendous benefits whether you are an aspiring martial artist or just want to improve your balance and feel a little more stable on your feet. Our online tai chi course – for silver subscribers – goes into depth on each move and includes instructions on the different footwork patterns. 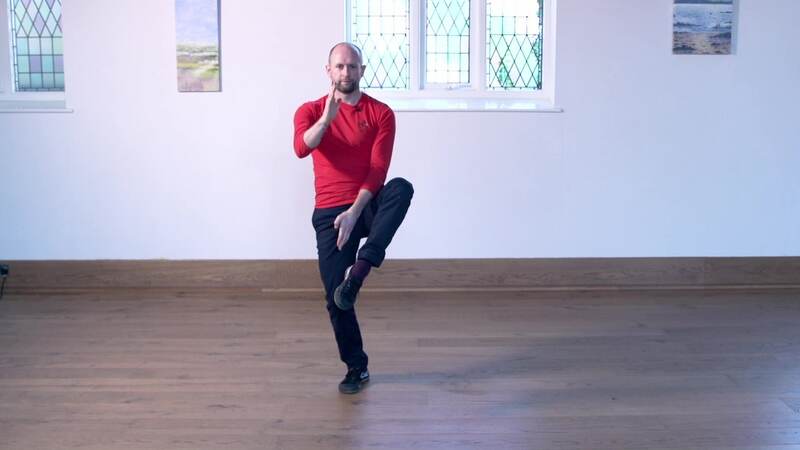 For bronze subscribers, you can access a short taster video specifically targeting our basic footwork exercise – benefitting strength, balance, flexibility, mobility, coordination as well as helping you feel more grounded and relaxed. Just one brief note to conclude – please select your footwear carefully. Trainers are not suitable for tai chi or other martial arts practice, rooting and grounding is not possible with a cushioned sole between your foot and the ground. Barefoot is great, whenever possible – or else wear very very flat soled shoes, keeping your feet as close to the ground as possible when training. If you have any questions or comments then, then we’d love to hear from you in the forums. In the meantime, enjoy your practice! 0 responses on "Balance and foot strength - the benefits for martial arts and everyday life."